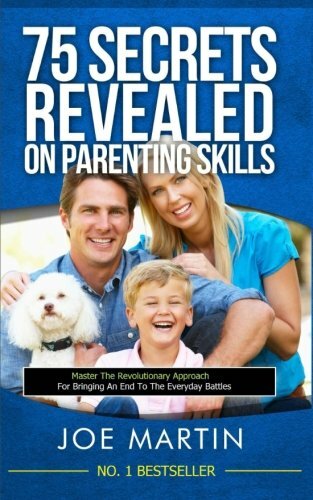 Synopsis: I have written this book, keeping in mind that parents are extremely busy. It's a quick read for any parent during their busy schedule. I have broken down this book into 15 chapters. Each chapter has 5 tips. Over the years, I have talked to many parents about their problems. I have written this book by keeping those problems in mind. I hope you will find my solutions useful. About the Author&colon; Joe Martin is a life coach. Earlier, he had set up a few businesses and sold them. He has a knack for writing and hence he became a full time writer. He has started his writing career with a hope to change lives. When he is not working, he enjoys traveling, fishing, cooking and reading books. He loves to play with his two daughters when he is home. He was featured on Google News, Yahoo Finance, Business Insider, The Boston Globe, CBC Money Watch and other popular media channels.